The Chinese manufacturer, which has been giving a cut-throat competition to many mid-range and budgetary smartphones seems to have no limits to fly. With so many recent releases, Xiaomi is expected to introduce first ever Android One smartphone which will run on stock Android instead of MIUI. The phone is also expected to sport full screen on the front and dual rear cameras. The Mi A1 would host an octa-core processor mounted on the Snapdragon 625 chipset backed with 3000 mAh battery and 3GB RAM for faster performance. The internal storage is limited to 32GB and is non-expandable. The Mi A1 from Xiaomi is expected to be released during September 2017 and will target medium budgetary segment of the Android market. The device is expected to be available in colors like Gold, Pink, and Black at same prices. 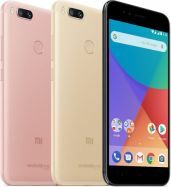 The design of Mi A1 of Xiaomi seems to be similar to that of Mi 5X. The rear side has a matte finish and the corners are rounded which makes the phone comfortable to hold in hand. The smartphone features a full HD IPS LCD display of 5.5-inches which produces bright and vibrant display even against bright lighting. The screen is protected with Corning Gorilla glass to prevent the Mi A1 from scratches. It is also accompanied with good viewing angles for clear display. The screen to body ratio is 73.1%. The dual camera with LED flash light has been placed on the top rear side of the panel. The selfie camera is on the front side and is placed above the screen. The home and navigation buttons are also seen just below the screen. The dimensions of the phone are 155.4 x 75.8 x 7.3 mm and it weighs 165 grams only. The device looks decent and will be comfortable to carry in hand or pocket. It is the first time Xiaomi is introducing Android One OS instead of its inhouse MIUI. The processor, which is octa-core is accompanied with Qualcomm’s Snapdragon 625 chipset of 1.5 GHz. The Mi A1 is also expected to have 3GB of RAM which will be enough for a smooth performance. The Snapdragon 625 processor along with 3GB RAM would enable seamless performance even while playing games and working on multiple windows. The MiA1 is expected to have default internal memory of 32GB which can accommodate loads of information. But the phone lacks the feature of memory expansion; there is no dedicated slot to insert the SD card. The phone has dual SIM slots of nano sizes and is expected to be enabled with 4G connectivity. The processor and the structure of the Mi A1 are designed to provide the effective performance to the users. The primary camera of Mi A1 is a dual-lens AF camera of 12MP resolution accompanied with LED flash whereas the secondary camera placed for selfies is of 5MP without flash. The rear camera is enabled with features like autofocus, face detection, geo tagging, panorama, touch to focus, etc. The secondary camera is good for taking selfies and support video calling. The video recording of 2160 pixels at 30 frames per second can be performed with the primary camera. The device support MMS, instant messaging and Push Mail service. It can also play music files of MP3, WAV, eAAC+, FLAC type and video files of MP4, H.264 type. The phone also assists FM Radio and 3.5mm audio jack. Xiaomi Mi A1 is backed by a Li-ion battery of 3000mAh capacity, which is capable enough to support for entire day. The battery is not enabled for turbo charging. The device is enabled with 2G, 3G, and 4G along with VoLTE (limited networks) and EDGE. It also expected to provide connectivity from wireless options like GPS, GPRS, A-GPS, Bluetooth v4.2, Wifi, Wifi Direct, Hot Spot, NFC, etc. Among the wired connectivity options, the device supports Micro USB V2.0. The Mi A1 is also embedded with sensors like Ambient Light, Gyroscope, Proximity, and Accelerometer. The Mi A1 is again another power-packed smartphone from Xiaomi at the medium budgetary range. The phone’s performance is expected to be excellent at the given price. As Xiaomi has introduced Android instead of MIUI, the consumers will definitely like to try their hands on it. Yes, it supports dual Nano-SIM cards. What are the miscellaneous connectivity options? The connectivity options present in the device include Wi-Fi, GPS, Bluetooth, and 4G. Does the Mi A1 support NFC connectivity? No, it does not support NFC connectivity. The device runs on Android 7.1.1 Nougat with Android One experience.Yes, Mi A1 will be upgraded to Android 8.0 Oreo by the end of this year. The device comes with 3080 mAh Li-ion non-removable battery. 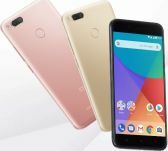 What is the price of Xiaomi Mi A1 in UAE? The smartphone costs around 899 AED in Dubai region. How much memory does the device have? The device is launched with 4GB RAM and 64GB internal storage that can be expanded up to 128GB via microSD card. What is the type and size of the display? The display features a 5.5 inch touchscreen with a resolution of 1920 by 1080 pixels. The device is protected with Corning Gorilla Glass 3 against scratches and dust. What processor and chipset does it powered by? The chipset of Mi A1 is powered by Qualcomm Snapdragon 625 equipped with octa-core processor. Yes, the device has fingerprint sensor which is present at the back panel below the camera section. What are the camera specifications of Mi A1? Out of the box, Xiaomi Mi A1 features dual-primary camera with 12MP sensors with one telephoto and other is wide-angle lens. The front camera has 5MP sensor for selfie. There are three colour options to choose from i.e Gold Black, and Rose Gold.